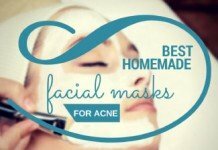 Home Natural Treatments How Can Lemon Juice Reduce or Prevent Acne? 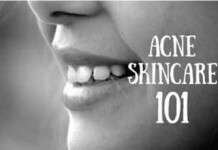 Acne is one of the most common skin conditions and is caused by a build-up of excess oil, clogged pores, and excess bacteria. 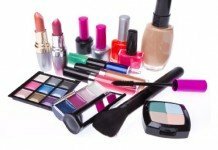 The oil that is produced by the glands in your pores is called Sebum. 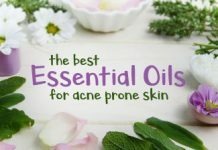 This oil is vital for keeping your skin hydrated but can become a problem if too much is produced. When your pores produce too much of this oil, your pores can become blocked which leads to the growth of bacteria. 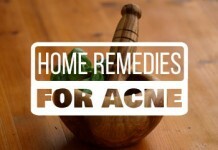 It is this combination of issues that create acne. When your body tries to kill the excess bacteria, it becomes red and inflamed which is how the spots are formed. 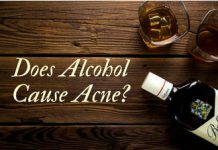 While these factors can sometimes increase the chances of developing acne, it doesn’t mean that your acne is solely a result of them. It is always recommended that you maintain a healthy diet that is low in sugar and remember to wash your face with gentle products to stop dirt and oil build up. 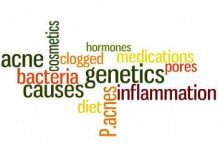 However, other factors are out of our control such as hormones and genetics. 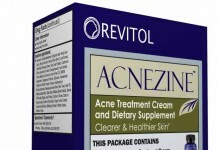 There are plenty of treatments for acne that are available over the counter. The downside of these treatments is that not only can these become expensive, but they don’t always suit everyone and can sometimes make things worse. 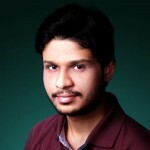 Because acne is so common, it is likely that most of us have had to deal with it at one stage or another. Finding the right cure can be difficult because everyone’s skin is different and what works for your friend might not work for you. 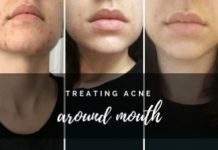 It can become frustrating when you can’t seem to find a treatment that will clear your spots and keep them away for good. 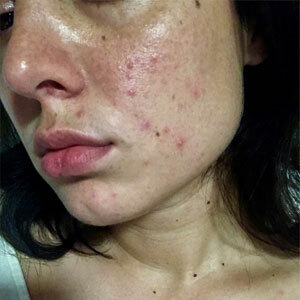 Acne may not have serious effects on your health, but they can have a huge impact on self-esteem and confidence. 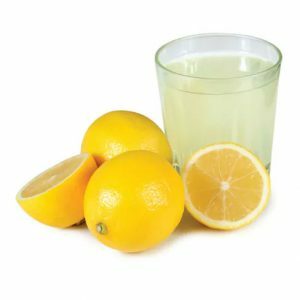 As well as the more common treatments that can be found in the pharmacy, there are certain home remedies that can help to reduce and prevent acne such as lemon juice. 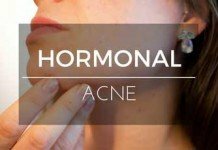 How does lemon juice work to reduce acne? Lemon juice is a great home remedy that is cheap and easy to use. Not only is lemon juice a natural astringent and antibacterial agent, but it also exfoliates the skin to remove and dead cells. This will help your skin to rejuvenate more healthily and reduce any further outbreaks caused by blockages. The juice of citrus fruits is a tried and tested way to help reduce and prevent acne. 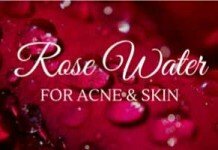 It is an ingredient that is often found in skincare properties because of the healing properties. The vitamin C found in citrus fruits is an antioxidant which will help to cleanse your body of any nasty stuff and will help to repair the damaged cells. These antioxidants can also help to work against the free radicals that speed up the aging process and help boost collagen levels. 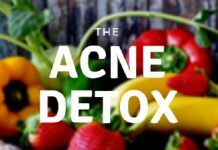 If you are suffering from acne, citrus fruits such as lemons are a great natural alternative or aid to other more common types of acne treatments. Because it is so common to suffer from acne at some stage in life, the use of lemon juice to reduce or prevent acne has been tried and tested with great success. People who pick or pop their spots are much more likely to get scars from acne. 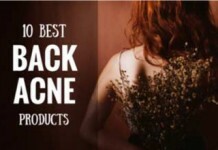 It is also more common for those with darker skin to be more susceptible to acne scars. These scars can last for several months or even years, and it is important to look after them if you want them to heal as fast as possible. The astringent qualities that come from the acidity in lemon juice work by constricting the body tissues and pushing excess oil out of your skin, so your pores won’t become clogged. Lemon juice is known for drying the skin. While this can be a benefit to those who suffer from excess oil production, it is important to make sure your skin doesn’t dry out too much. When your skin becomes dry, it sends signals to produce more oil in an attempt to remoisturize itself which will begin the cycle all over again. 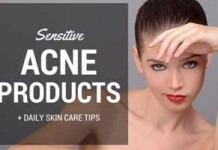 Antiseptic properties kill the bacteria that causes acne. These antiseptic properties come from the citric acid of the lemon juice, otherwise known as vitamin C. The bacteria that causes acne doesn’t like acidic environments, so the lemon juice will provide a less hospitable environment which will not only kill the bacteria but prevent more from growing which means you will be less likely to suffer from acne. Anti-inflammatory properties will soothe spots and scars and reduce redness. Lots of people who have used lemon juice to heal acne have found that it also reduces the redness of the spots. This is because the anti-inflammatory properties of lemon juice as well as the effects of the astringent working to kill bacteria. Because the skin goes red when it attempts to fight the bacteria, it will begin to calm once the bacteria have been killed by the citric acid. People who suffer from acne can benefit from the antioxidant and antibacterial properties of vitamin C that are found in lemon juice when applied to the skin. One of the great things about using lemon juice to treat acne is that it will help to unblock your pores, and the benefits can be noticed quickly. The acidity in lemon juice can help if the acidity of the skin is too low for other treatments to work. This means that not only will lemon juice be beneficial to treating acne, it will also help other treatments to be more productive. It is better for your skin to be slightly more acidic because it creates an environment that is less suited to bacteria which means it will be less likely to grow. 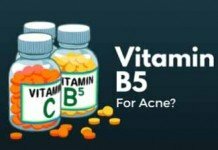 While having some bacteria is good for your skin, if the pH is too high, the bacteria level will also become too high which is a symptom in people who suffer from acne and causes inflammation and redness. While it is commonly known that lemon juice will sting when it gets into broken skin, the sting is what slows down the inflammatory process. This means that even if it feels like it hurts, the lemon juice is still helping to calm down the acne symptoms. You are most likely to get the benefits of using lemon juice to treat acne if you apply it as an astringent or spot treatment. To make an astringent, you need to mix lemon juice with equal parts water. This can be done up to three times a day before using moisturizer. To use lemon juice as a spot treatment to reduce the appearance of breakouts, it is best to use a cotton swab to apply to the areas that need it. Once it has been on for a few seconds, you can wash your face with warm water to remove the juice. 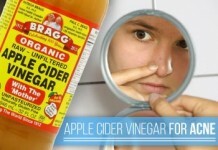 This can be repeated up to 3 times a day to remove any blemishes. Do not use this treatment method over a long period of time as it is only suitable to be used for a few days. Always use the juice from fresh lemons. This is because the pre-packaged lemon juice you can buy from the store has added sugars and preservatives in them which could irritate your skin. You can store any extra lemon juice in the fridge for several days. It is clear that lemon juice contains antibacterial and anti-inflammatory properties that can kill bacteria and heal inflamed skin. The downside to any home remedies is that there isn’t much research that has been carried out to determine any negative side effects. It is always worth consulting a dermatologist when trying a new treatment, especially if the condition begins to get worse. It is worth noting that lemon juice can bring discomfort to broken skin so always try on a small area in the same way you would with a new cream or skincare product. It is also important to be aware that applying lemon juice to your skin can increase your risk of sunburn and sunspots so always make sure to apply the lemon juice when you are indoors.